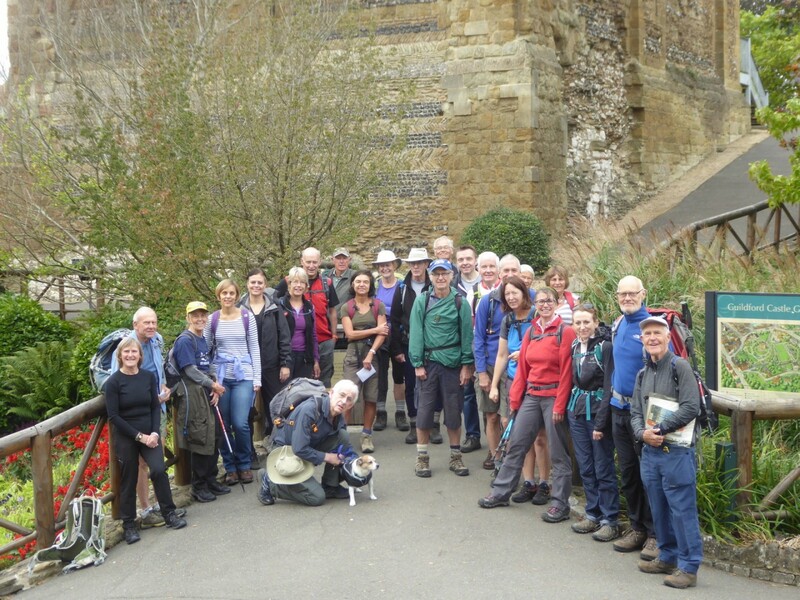 Walk of the week is Jerome's Eastern Chiltern Fringes on Saturday, and what could be nicer than an autumnal adventure in this lovely part of the countryside? All the details are below - just scroll down. 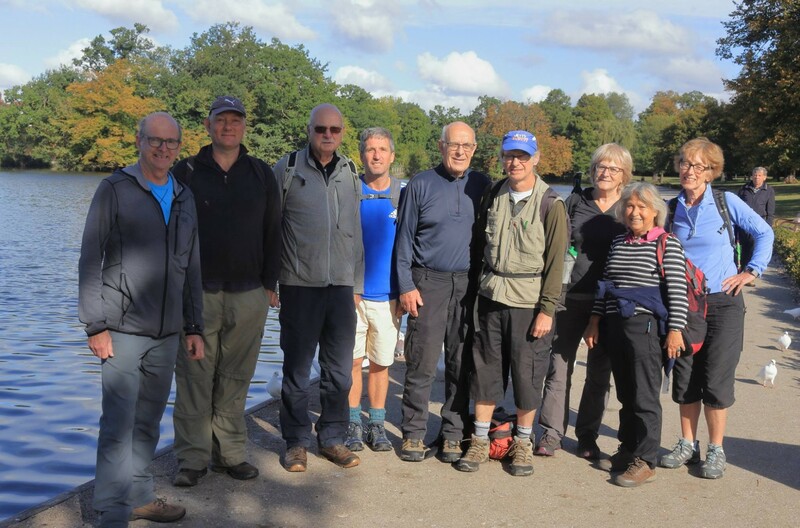 And just to give you a sneak preview of what's to come the following weekend, below is a photo - by Ian - of marshals walking out the route of London LDWA's very own Founders Challenge, which takes place on October 13th. Tempting, isn't it? Entries are open right up to the day itself. 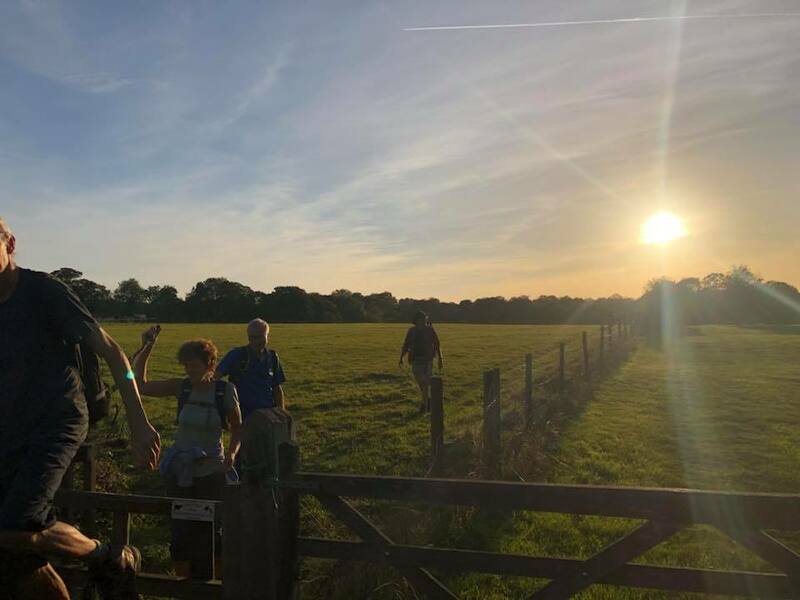 Calling all London LDWA members who are going for the Hadrian 100! Is anybody out there interested in a self-supporting pop-up 50 by way of training before the end of the year? 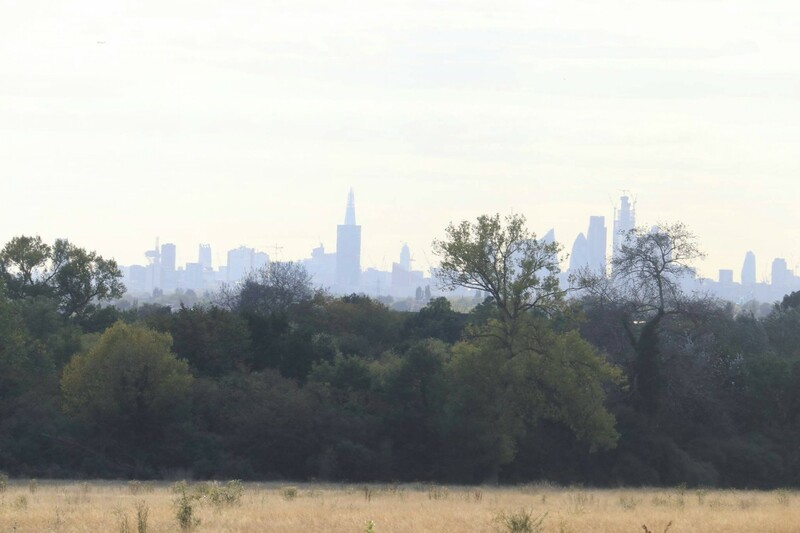 Route to be decided but could, for example, be an adaptation of the 27/28 mile Capital Challenge 2018 route starting at BFI South Bank with a return via the Capital Ring and Thames Path. If this madness appeals, contact me at juliewelch@btinternet.com or on 07788 237300.